If you have seen flies for some time, these must be blow flies, they are also known as the greenbottle flies. Why are they visible in your place? They are scavengers, they primarily lay their eggs on animal flesh and on the wastes of the animals. They usually breed outside and they can also be annoying pests around the garbage bin, kennels, poultry barns and landfills. If you live nearby these sites, the flies may be visible outside of your home all the time. However, there may also be a probability that they have just accidentally migrated to your place because they smell pet feces or dead animals around your house. But if you see lots of them, there is also a probability that they are coming in your house. Most of the homeowners are in denial about this, they just keep on saying, no! There is no dead animal in my house. You might though there is none, but you have not yet realized that there may also be a probability. The primary source of the blow flies in a place is a dead animal or a carcass that died in the wall, under the porch, in the attic or chimney. Normally, the dead animal is a rodent and the death of the rodent is because of the toxins placed in the bait during the trapping method. 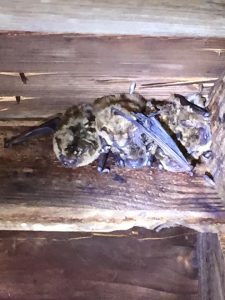 However, there are still some probabilities that dead birds, bats, possums and squirrels that have been nesting in and out of the house has been trapped and cannot free itself until it died. The blow flies have the best noses for carcass. It can sniff out an animal in not less than twenty minutes of its death. If the female blow fly will know that the dead animal is in the attic for instance, it will find its way to get into the attic and munch on the remains. It will right away lay its eggs on the carcass, normally, it lies more than a hundred and eighty eggs at once and the larvae will be hatched in just an hour. After which, munching on the remains for weeks, the larvae pupate will fly and then it will emerge as adults. If the dead animal is ruled out, there are some probabilities that the blow flies in your home have accumulated the pet feces, moistened decaying garbage and that might have been overlooked, rotting fruits or veggies, rotting meat or fish can also be a culprit why these flies are in existence in your place. If you will contact a pest control expert for help, then he/she will look for the source of flies in the house. That will make things simpler for you along the way. Author cupegrafPosted on July 20, 2017 Leave a comment on Does a dead animal carcass cause flies?